Summer Reign, we'll never be the same again. This is our time to change. Hailing from the home counties environs of High Wycombe in the UK, Coastal Cities are a 5-piece band playing a brand of alternative pop music they themselves describe as 'major key melancholy'. Declan (guitar/vocals), Sean (guitar) and Lewis (drums) having met at school and on discovering a mutual love of eighties new wave aligned with a shared lethargy of the local music scene began practicing as a three-piece. The emergent Coastal Cities finalised their current line up with bassist Dan and William on keyboards, playing shows and making a name for themselves alongside like minded souls both locally and further afield. 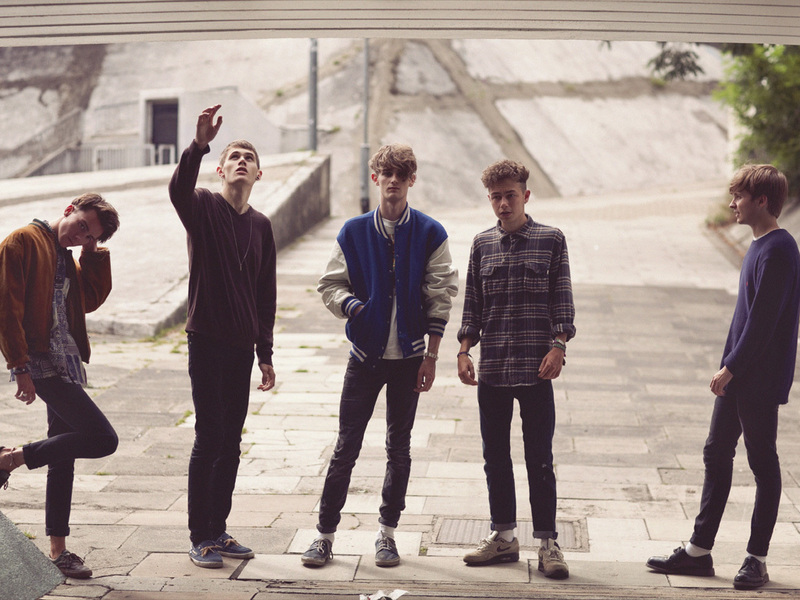 After an initial rush of excitement triggered by the arrival of "Think Tank" and their debut EP "Transgression" which found them early fans in New York's The Drums, the band went on to become darlings of the music blogs with the release of The Relief and The Voyage in July 2012. The recent success of last single “Entropic” / “Nothing Ever Changes” brought them under a spotlight through a Burberry eyewear campaign and over the last few months the band have honed their sound with their live dates recently revealing ‘Summer Reign’, an infectious slice of summery-tinged pop wonder that tiptoes into earshot before inhabiting an almost blissed-out dreamy soundscape in memory of times past. The track has become a triumphant set closer. Having decamped to the studio under the guidance of producer Hugh Worskett (Crystal Fighters, Jamie N’Commons) the band emerge armed with an alluring , somewhat compelling beauty of a track that encapsulates the band’s sound today! Mixed by Adrian Bushby (Two Door Cinema Club, The Rapture et al), ‘Summer Reign’ b/w ‘Bad Dream’ was released on November 18th through Once Upon A Time Records and available through all reputable digital outlets.